A new crowdfunding project called Blocks is trying to solve the smartwatch obsolescence problem through modular components. 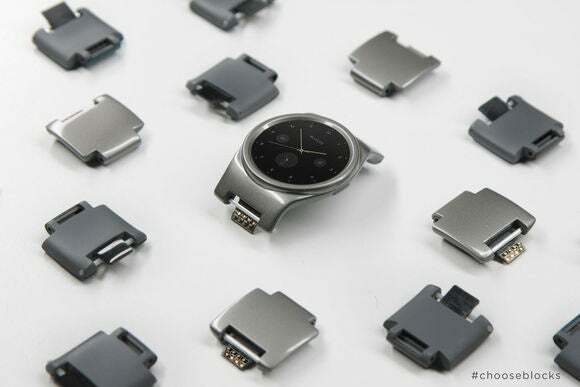 With Blocks, users can replace the standard watch band with a series of modules, each containing a different hardware feature. One module might add battery life, while another could offer GPS tracking. At launch, Blocks plans to offer heart rate, NFC, and “Adventure” (altitude, pressure, and temperature) modules as well. Over time, the company wants to add modules for a SIM card, fingerprint reader, LED light, and a programmable button. All of these pieces will snap into the core watch face, which has a circular display and comes in black, white, or red. It’s plastic, though Blocks says it’s working on other materials and colors for next year. For software, the Blocks watch is based on Android, though it’s not Google’s Android Wear operating system, and it’ll sync with iPhones as well as Android 4.0 and higher phones. We’re typically wary of crowdfunded wearable projects, since so many of them end in disaster. But Blocks has been working on this project for nearly two years prior to the Kickstarter campaign, and its latest prototype is miles ahead of the one we saw at CES. It also helps that Blocks is working with Compal, a major Taiwanese electronics manufacturer, to mass-produce the finished product. As of this writing, Blocks has already doubled its $250,000 Kickstarter goal. If all goes to plan, Blocks aims to ship smartwatches to Kickstarter backers in May 2016, though it’s worth noting that Blocks has pushed back its Kickstarter plans several times over the course of development. A watch without any modules will sell for $195, and backers can get a choice of four modules for $285. Why this matters: One of the biggest challenges with smartwatch design has been fitting enough useful components inside a device that’s small enough to wear on the wrist. It’s an issue that Blocks aims to sidestep by moving some of those components to the watch band, which can be upgraded over time. 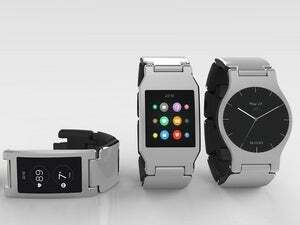 While some other watch makers such as Pebble are also working with the modular concept, Blocks’s design seems to be the furthest along.